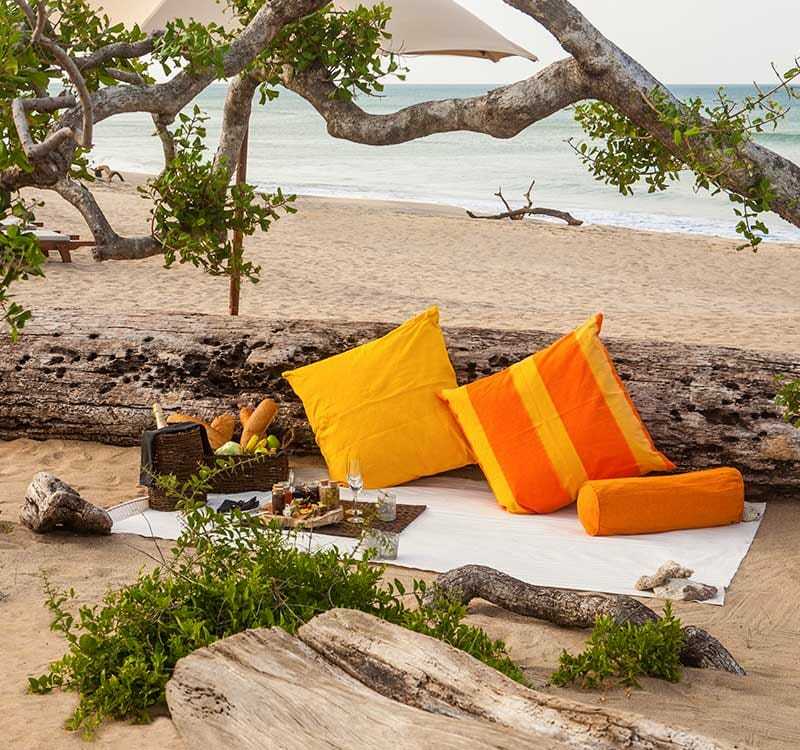 Jungle Beach is located within a 10-acre reserve nestled between Sri Lanka’s tropical mangroves and pristine eastern coastline. Situated in the quaint coastal village of Kuchchaveli, our luxurious boutique resort combines the island’s most celebrated attributes – its white sandy beaches and bountiful jungles. Jungle Beach boasts a private beach stretching over 4 km and an enchanting lagoon teeming with exotic birds and other wildlife, offering endless adventures for both beach-goers and wildlife enthusiasts. Our resort’s location alone gives it a unique edge over other luxury hotels in Trincomalee, Sri Lanka. Air transfers ‎✈ with Cinnamon Air is also available to reach the hotel from the Colombo International Airport.